A majority of the political parties in Denmark have today reached an agreement to cut state broadcaster DR’s budget by 20 percent and do away with the TV/media licence. The measures agreed to by the VLAK government and support party Dansk Folkeparti will mean swingeing budget cuts at DR over the next five years. The 20 percent cut equates to a shortfall of 740 million kroner every year. In future, Danes will have to pay for DR, Radio24syv and TV2’s regional stations through their taxes. At the moment, the media licence costs 2,527 kroner per year and is payable by anyone over 18 with a device that can receive TV or radio programs. The savings earned by slimming down DR are to be used, among other things, to compensate citizens who are at present wholly or partly exempt from paying the licence. This includes 116 million kroner being set aside for improving conditions for pensioners, reports Ekstra Bladet. The initiative, which would run from 2019, is expected to be presented next week. 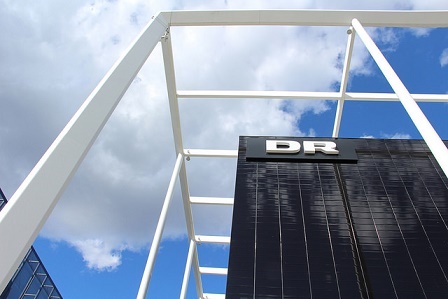 DR’s director general Maria Rørbye Rønn has warned that savings of this magnitude are bound to result in the channel producing and broadcasting fewer hours of Danish-language television – one of the things that the political parties behind the compromise have professed a wish for. However, the government is not worried. “DR will still be able to produce a really good amount. They ought to focus on their primary area which is news, culture and disseminating history,” said the finance minister, Kristian Jensen.